It’s the start of the new financial year. Start it in a planned way by not leaving things to the last minute, especially when it is about your hard-earned money. Many people have the habit of procrastinating investments till the last moment not realising how important it is to align one’s investments with the long-term and short-term goals. Investing without a goal could be like an anchorless ship, not knowing about its direction. It is therefore very important to ask why you want to invest, as an answer will decide where you should invest your money. For example: for long term goals, which are at least 5 years away, such as child’s education and retirement planning, you should invest in equities. According to statistics equities tend to give the highest return over the long-term period. For short term goals, which are at least three years away, such as buying a car, it is advisable to invest in fixed income assets. For the new financial year here are a few tips for you on tax-planning. Stock markets are volatile. You cannot time the market. The best way is to start by investing in a mutual fund through systematic investment plans or SIP. The SIP allows you to make periodic investments-daily, monthly or annual- averaging out your cost of investment in the long- by buying more units when the stock markets are down and less when the markets are up. So this financial year do start an SIP in tax-saving mutual fund and take charge of your finances before it is too late. To give you an idea, during the last year, tax-saving gave the return 15% compared with an average FD return of 6-7 per cent. Though markets are, currently, going through a correction phase, experts say, equities will continue to beat other asset classes over the long run . Caution: From the financial year 2018-2019 a tax will be imposed on long-term capital gains (LTCG) from equities. LTCG from equity funds will be taxable at 10% (without indexation). Gains are classified as long term capital gain if an equity fund is held for more than 1 year. If the holding period is less than one year, then the gains are clubbed as short-term capital gain. New-age Ulips are cost-effective and are customer-friendly. It happened when in 2009 the insurance regulator brought new regulations governing unit linked plans. It was the time when many people lost their life-time savings due to opaque cost-structure of Ulips. Since then, the market-linked insurance plans have come a long way. Currently, Ulips comprises of three broad charges that include allocation expenses, fund management charges and policy administration charges. There is also policy discontinuance charge if you exit the policy before the completion of five years. Moreover, there are several online ULIPs, that have no premium allocation charges meaning you can invest 100 percent of the premium. 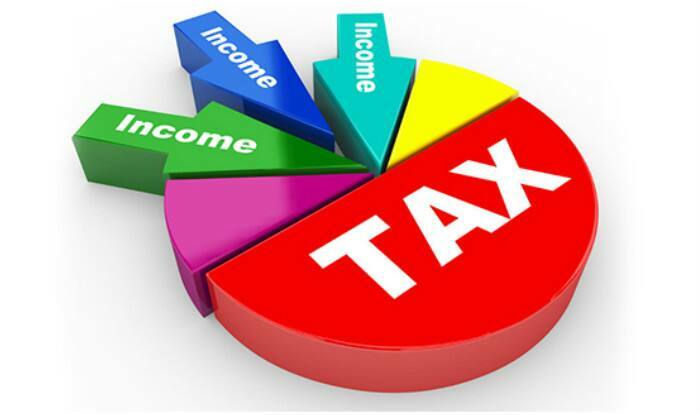 The good news is under new tax system there will be no LTCG on unit-linked plans, giving you an edge over mutual funds when it comes to taxation. Caution: Check the fund performance of mutual funds before investing. As compared to mutual funds, returns may not be as high in Ulips. For conservative investors the best option is to invest in PPF, which is completely tax-free. Currently, it offers the return of 7.9% and has the investment limit of Rs1.5 lakh. To earn maximum interest, invest your money before the 5th of every month as interest is calculated on the amount invested before 5th of every month. Caution: PPF rates are not fixed. They are revised every quarter as they are linked to government security of the same maturity with some mark-up on the yield. NPS is the most cost-effective retirement scheme. You can start investing a small sum every month in NPS and see your money growing through the rule of compounding. Under section 80CCE of the Income Tax Act you can claim a deduction of upto Rs1.5 lacs, given that the combined benefit of 80CCE and 80C does not exceed the limit of Rs1.5 lakh. Over and above the limit of Rs1.5 lakh, additional tax deduction benefit of Rs 50,000 is also available under section 80CCD (1B). Caution: You can withdraw only 60 percent of your money on retirement and 40 percent is paid through compulsory annuity. Out of this 60 percent only 40 percent is tax-free. Rest 20% is taxable. Considering its tax-structure, NPS is at disadvantage when compared with other retirement schemes such as PPF and Employees Provident Fund (EPF) where entire maturity amount is tax-free. You can claim a tax deduction upto Rs75,000 if you have bought a health insurance policy for you and your parents. According to income tax rules, you can claim deduction upto Rs25,000 for you and your family on your health insurance policy. Over and above, you can also claim deduction upto Rs50,000 on a policy bought for your parents. The amount for senior citizens got increased in the Budget 2018 from thelimit of Rs30,000, considering health insurance premium rates are on rise for senior citizens. Caution: You get deduction for payment of premium done online or through cheque. You do not get any deduction for cash payment. You can claim deduction for donations to organisations that are listed under section 80G of the Income Tax Act. You can claim deduction ranging from 100 per cent t0 25 percent depending on the organisation you are donating money. Caution: You can claim deduction on donations given to selected organisations. Moreover, there might be some limit on the maximum amount that can be claimed as deduction.